When Mercedes-Benz brought the Concept A-Class to Auto Shanghai in 2011, they were hoping the launch of the new compact luxury car would be a success. Two years later the all-new 2013 Mercedes A-Class has been wildly popular in Europe and is outpacing what the German automaker had projected. 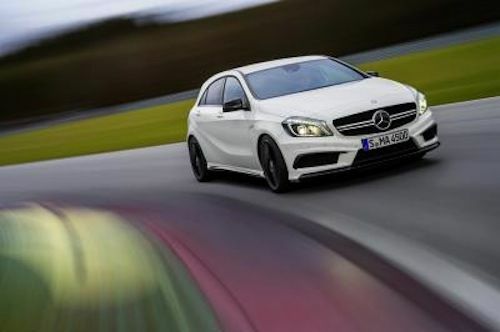 Mercedes has a goal of regaining the luxury car lead from BMW and Audi with the new CLA Class and also the new A-Class. What kind of buyer will Mercedes target in China? Mercedes is off to a good start in 2013 with sales of the new A-Class doubling in Europe during the first quarter compared with the previous year. And Mercedes is counting on the largest auto market in the world to continue strong sales as it launches in China. The new sporty luxury compact is attracting a new generation of buyers that are drawn to its distinctly sporty design and extremely sporty handling characteristics. Mercedes is attracting a much younger buyer who has never purchased the Mercedes brand before. The Mercedes-Benz A-Class represents a new entry into the growing luxury compact segment and competes with the BMW 1-Series and the Audi A3. Mercedes-Benz wants to get back the top luxury brand ranking they lost to BMW in 2005. In 2011, Mercedes slipped to third place behind Audi and has stayed there the last two years. The A-Class launch in China will play a key role in helping Mercedes regain the lead. The all-new 2013 Mercedes-Benz A-Class also features a variety of fuel-efficient gas and diesel engines with the latest technology. It brings a refined sportiness and agility and ride comfort that is typical of the brand. With everything that the new A-Class has to offer, the new luxury compact should be a hit with a younger generation of Chinese buyers and moves Mercedes closer to their goal.